U8 through U19 Boys tryout information see below or you can go to the individual team pages within this website and send emails to the Coach/Manager to receive tryout or team related additional information. In addition most coaches have ongoing tryouts during thier training sessions. If you miss a date or cant make a date contact that respective coach in regards to ongoing sessions. Tryouts will be held at regular training sessions. Mike Hohman @ Mhohmansoccer@gmail.com; Tiffany Hohman @ tiffanyhohman@msn.com; Elizabeth Albert @ hosswife@gmail.com or 4436820890. 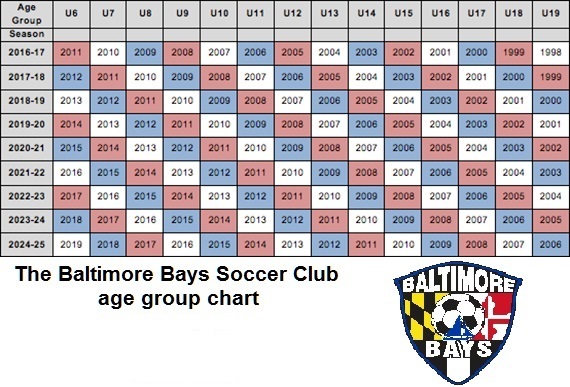 Tryouts will be held @ Regular Training Sessions in the southeast Baltimore County area.